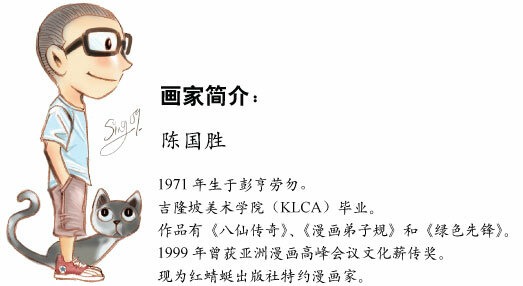 A comic by Kok Sing based on the novel "Angel of Memory". The chairman of Universe School has vanished!He left behind two letters with almost the same contents, which said that as soon as the angel of memory is found, a present will be revealed, even the truth about his disappearance too.Three students from Universe School, Chow Nuo Yan, Wang Shiang Shiang and Chiang Shuan Er, each with their ulterior motive, met one another while searching for the truth.Who is this angel of memory? Who will be the first among the three to find the truth? Review : i like to read comic more than novel and it's intresting.